Enrollment for this IRB-approved randomized trial (IRB 00082272, PI: Turnbull) was completed 11/18/2016. Funding for this study was provided by the non-profit Gordon and Betty Moore Foundation. 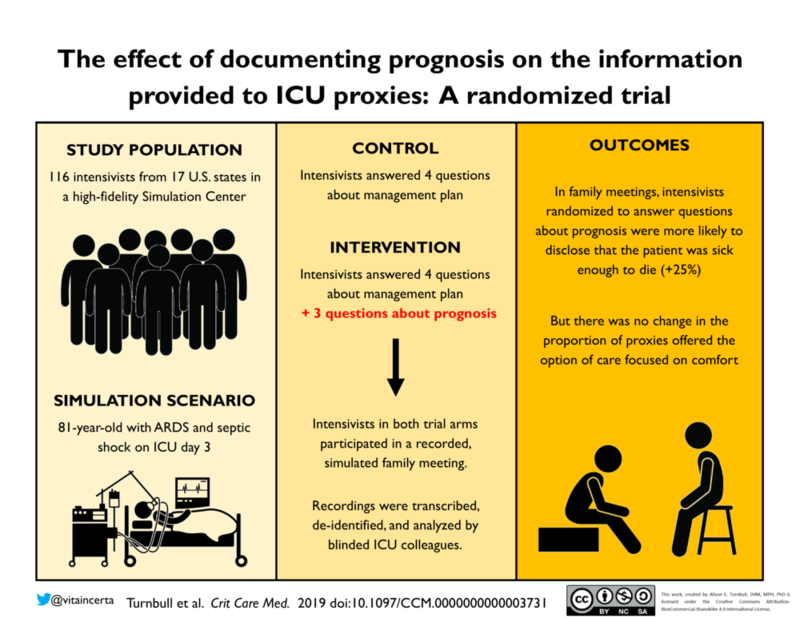 The primary trial manuscript was published at Critical Care Medicine and is Open Access. The visual abstract below can be downloaded here.